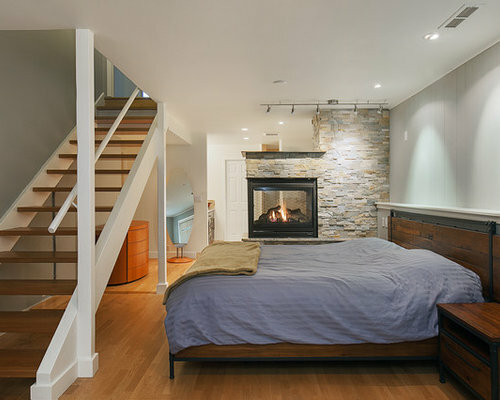 Lower level master suite remodel. 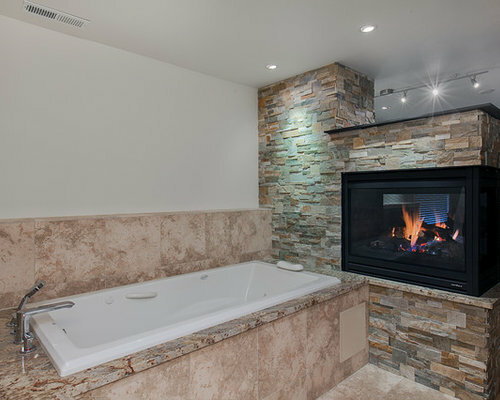 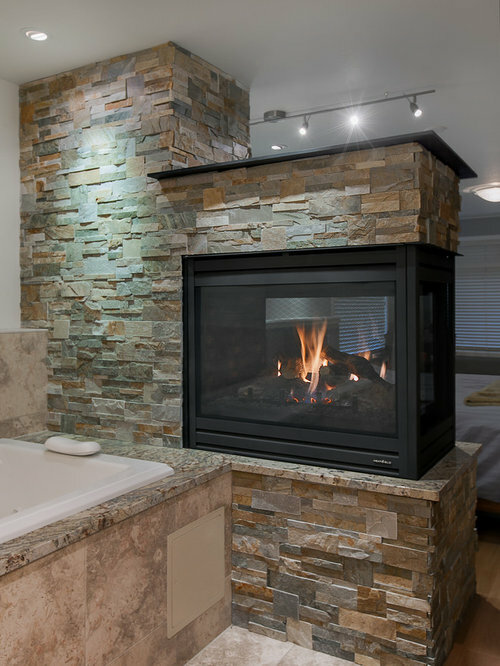 A 3-sided gas fireplace with steel mantle and Ledgestone surround creates a separation between the master bedroom and bathroom. 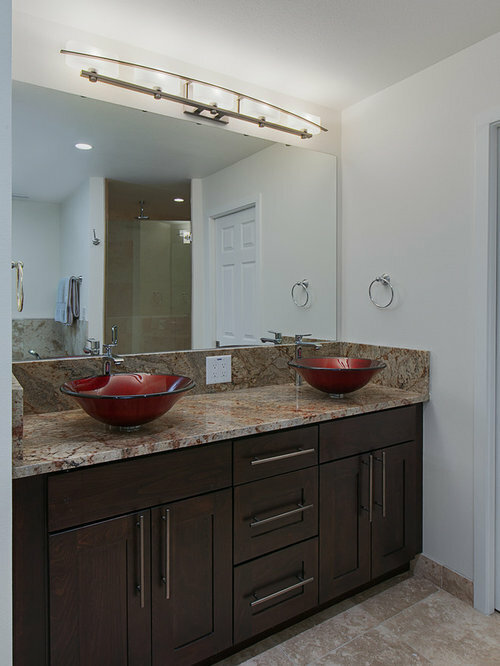 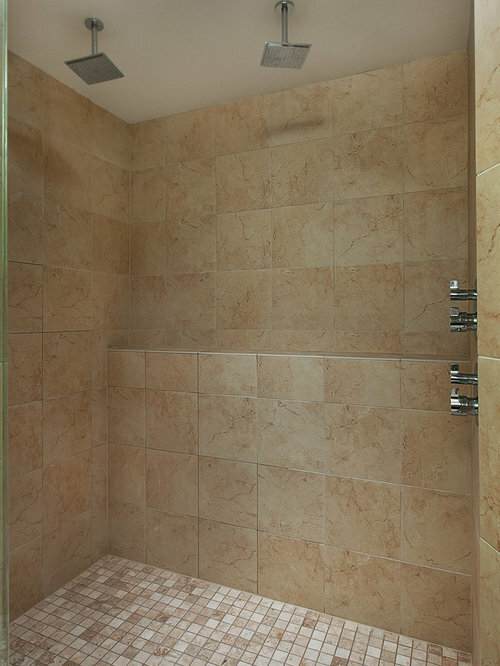 Natural finishes, a soft color palette, and new lighting brighten the lower level space.